Keeping up with increasing demand, this year’s National Jewish Retreat will be hosting its largest and most dynamic faculty yet, starring over 45 sought out professors, rabbis, and lecturers covering a broader variety of subjects than any previous year. Hosting famous personalities from The Hon. George Allen, former U.S. Governor and Senator who recently discovered his Jewish roots; to Mr. Nat Lewin Esq., and renowned advocate and Washington D.C. attorney, the 2010 National Jewish Retreat is set to hit record attendance at over 500 participants from as far as Hong Kong, China, London, UK and Panama. Features will include keynote address by Rabbi Moshe Kotlarsky at the banquet and on Shabbos, along with sessions presented by Rabbi Moshe Bryski, Professor Jonathan Sarna, Rabbi Manis Friedman, Mr. Bradley Gordon of AIPAC and Rabbi Yitzchok Shochat to name a few. Rabbi Yehuda Krinsky, Chairman of Merkos – Lubavitch World Headquarters, will be giving a session titled “Timeless Moments in the Rebbe’s Presence”. The JLI Retreat is a powerful, motivating event that is designed to stimulate any person’s Judaism. With a choice of over 150 choices of lectures, programs and entertainment, it’s an opportunity to experience top quality Judaism in five-star surroundings and enjoy the perfect getaway for both body and soul. Gearing up for its 5th successful year, the retreat has already touched over 3,000 people from all walks of life. 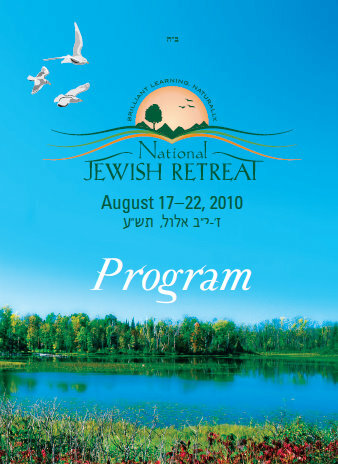 To view the complete 2010 National Jewish Retreat Program Click Here.